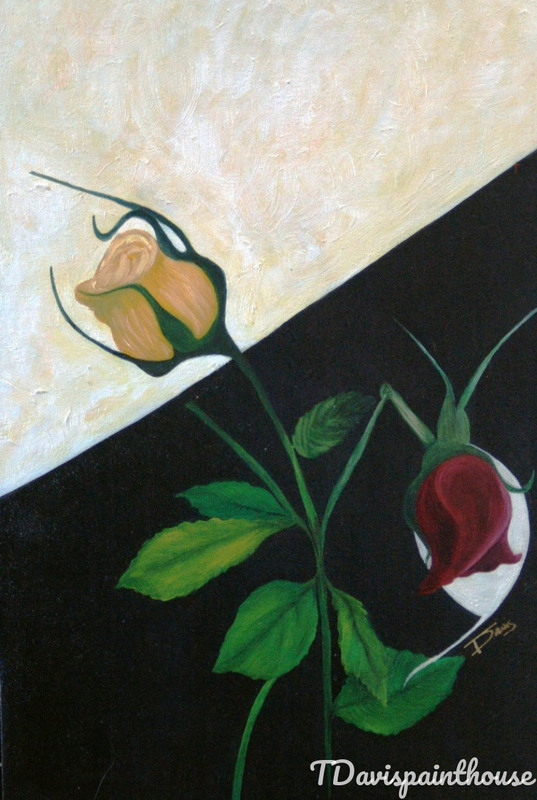 Yellow and Red Rose Abstract Acrylic painting on canvas. I created this painting as a way to express my broken heart. The yellow rose represents my ability to move forward towards the light and force bloom, to move past the broken promise that made my heart ache. After hanging on to this in my private collection for years, I have finally let go through a sale.